Can i convert my own loft? Have you always wanted to undertake your own loft conversion, but are concerned about tackling the structural work? Maybe you’d like to save money by putting your DIY skills to good use? The question you ask yourself is “Can i convert my own loft?”. A partial-build loft conversion is the answer. Sky Blue Lofts offer a part build loft conversion where we do as little or as much work as you require. We’ll tailor the conversion project to your plans. If you’re unsure where to start, then our team can assist and undertake a survey, providing a full set of plans to work from. We will also liaise with local authorities on your behalf, making sure your conversion has planning permissions and is fully compliant with fire and building regulations. We’ll make your loft structurally sound & safe. Importantly, we can kick start your project by doing all the difficult structural work. We’ll provide you with a fully independent stairs and strength up all of your roof rafters to ensure your attic is completely safe and built in line with all current building regulations. If you have limited headroom then we create the extension and install the necessary dormers. We can also fit specialist Velux windows and a new staircase too. 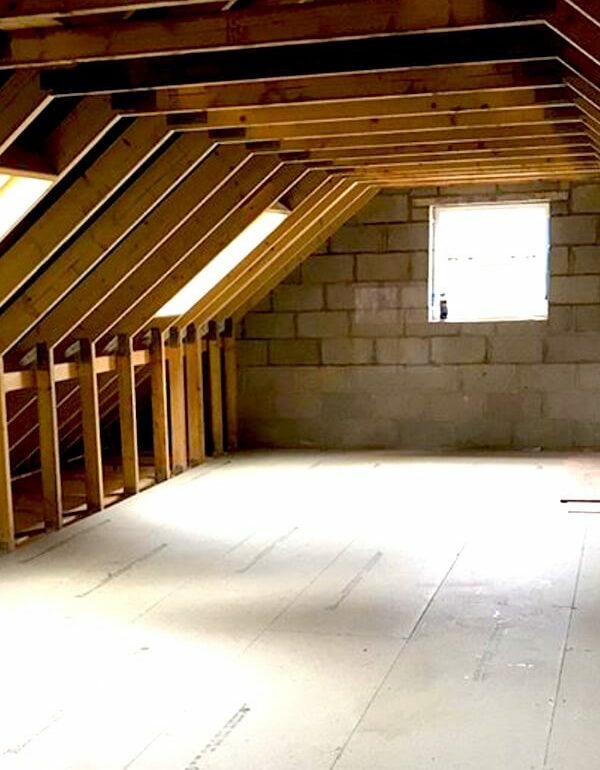 We only convert one loft at a time and our teams at Sky Blue Lofts are fully qualified and experienced plus all of our work is fully guaranteed. A loft conversion is the ultimate DIY project. Once the structural work is complete, you’re free to carry on with the rest in your own time – insulation, boarding, plastering, electrics, plumbing and decorating.